Roasted Ranch Potatoes - Home. Made. Interest. 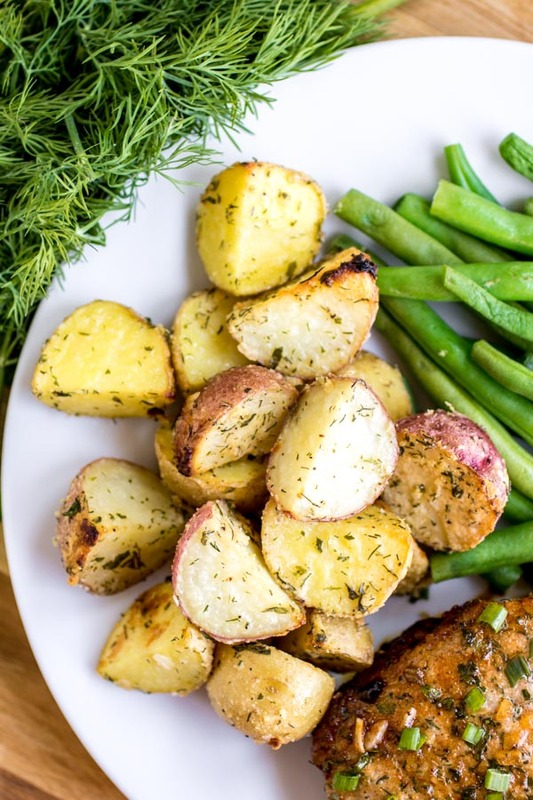 These easy Roasted Ranch Potatoes are the perfect side for weeknight dinners. 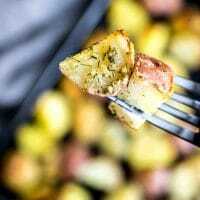 Red potatoes tossed in homemade ranch seasoning go with everything! Last week I told you all about my love of all things ranch-flavored and shared my recipe for Homemade Ranch Seasoning and the Ranch Baked Pork Chops that I used it on. 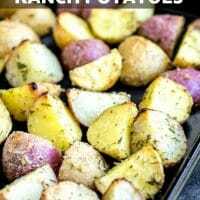 This week I’m going to keep the ranch fun going with my Roasted Ranch Potatoes. 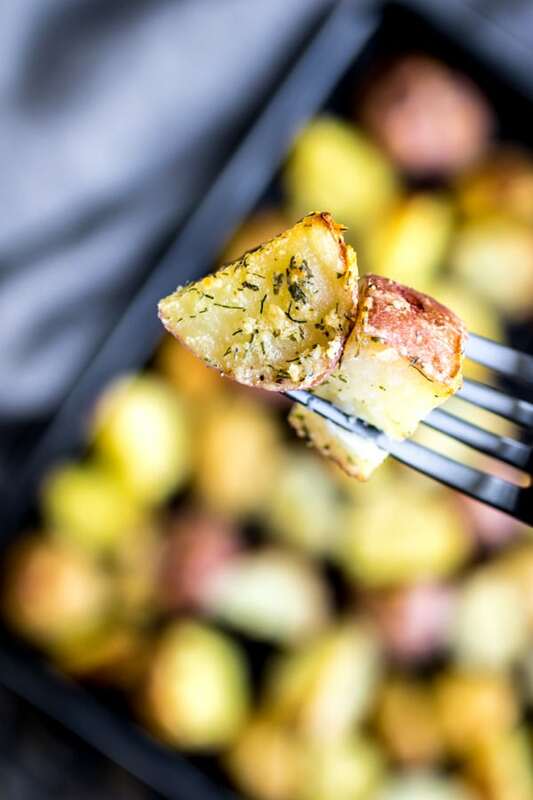 This easy roasted potato recipe is made on a sheet pan and it’s the perfect side dish for any night of the week! Cut potatoes into quarters and place in a large bowl. Add melted butter to the bowl and toss potatoes in it until they are well coated. Sprinkle with Salt. Add Homemade Ranch Seasoning and toss potatoes in it until they are well coated. Spread potatoes on a greased or lined baking sheet in a single layer. Bake at 400 degrees F. for 20 – 25 minutes or until potatoes are cooked through. 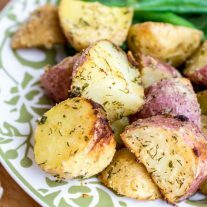 What kind of Potatoes are Best for Ranch Roasted Potatoes? 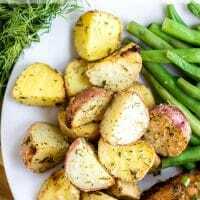 I used little red new potatoes because they are what I had on hand, and I happen to love the flavor of red-skinned potatoes, but in general for roasting a Yukon Gold potato is the way to go. It is a middle-of-the-road potato, not too starchy, not too waxy, and they get a great caramelization on them as they roast. Any potato will work in a pinch! 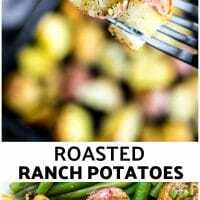 Roasted Ranch Potatoes smell amazing while they are baking so throw your Ranch Baked Pork Chops in at the same time and have dinner on the table as soon as they are done. The ranch seasoning loads those roasted potatoes up with flavor. You’re going to wonder why you never thought of it! Bake at 400 degrees F. for 20 - 25 minutes or until potatoes are cooked through. 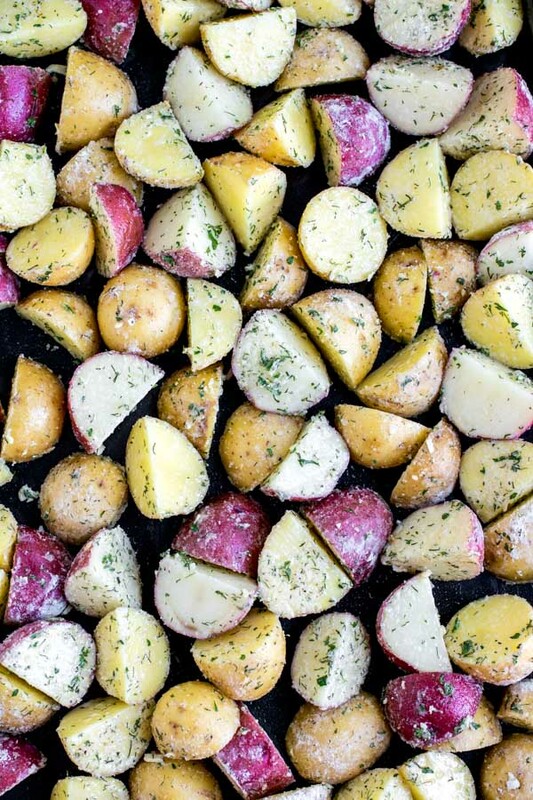 How much ranch seasoning do you add to the potato dish? It is 2 tablespoons of ranch seasoning. You can add more if you like.